Never stop hiring. Great leaders hire the talent whenever it’s spotted. 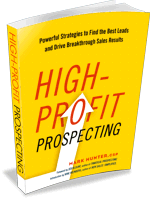 Top-performing salespeople have always been in demand, but recently the demand has been over the top. It’s too easy to accept conventional wisdom that the only time you hire a salesperson is when you have a need. I believe it’s time to throw conventional wisdom out the window when it comes to salespeople. Think about the sales position — You’re not hiring somebody to work a machine or fill a clerk position. No, you’re hiring the one position that creates revenue. The challenge is there are a lot of people who call themselves a salesperson, but in the end they’re a salesperson in title only. When you spot talent, go for it. You may not be successful in hiring them today, but you’ll at least create a relationship that may payout later. Even if that person doesn’t ultimately join you, they may very well point you to the person who does. Top talent hangs out with top talent! If you think the challenge in finding great salespeople is tough now, just wait. I have a feeling it’s only going to become more difficult in the years to come. Here’s the rub and let’s be candid. Top talent is only going to join teams they see being led by top sales leaders. If you’re not attracting the talent you want, then maybe the first place you need to look is yourself. Remember, great talent is attracted to top talent. I’ll share more in the coming weeks, but in the meantime grab my infographic 9 Attributes of a Great Sales Leader. You can get it at this link. I agree with you that not all titled salesperson are great with selling and sometimes it’s surprising to find a great sales talent in a person that has a totally different background. I once had this colleague who outperformed our team’s seasoned reps but he never had any experience in sales prior to joining our team. He even said that he never knew he had it in him. I think that this is one of the things that sales managers should consider, you can never tell how well a person can perform if you won’t give them the chance to start with. Keep it up, Mark! Great post!